Introduction for the manuscript submission to the ISWA special edition of "SOLA" is here. Recent developments in observational techniques and the extension of observational networks have enabled the capture of atmospheric phenomena concurrently over a wide range of temporal and spatial scales. In addition, global numerical models, including coupled climate models and chemistry climate models, in which data assimilation techniques are implemented, are being extended to higher-altitude regions with greater horizontal and vertical resolutions. These developments allow the examination of atmospheric phenomena over a wide range of temporal and spatial scales in terms of their interactions and momentum/energy budgets. Such observations and models generate considerable amounts of data; thus, methods of data analysis are becoming increasingly important and "data-centric" science needs to be pursued. In parallel, new theories that can treat various phenomena seamlessly and three-dimensionally are needed, and those able to describe inductively elucidated structures are being constructed. These circumstances compel us to organize this symposium in order to review the latest research regarding the whole atmosphere, particularly focusing on the dynamics of the middle and upper atmosphere, and to discuss the direction of future endeavors. Many invited speakers will participate in this symposium. A list of confirmed invited speakers is given here. 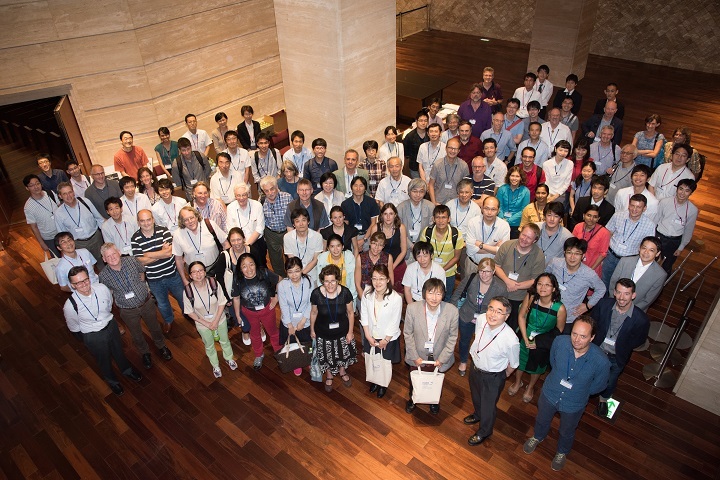 ISWA is partly supported by VarSITI/SCOSTEP, Inoue Foundation for Science, Kyoto University, RISH, SOKENDAI (The Graduate University for Advanced Studies), The Meteorological Society of Japan, and The Society of Geomagnetism and Earth, Planetary and Space Sciences (SGEPSS).